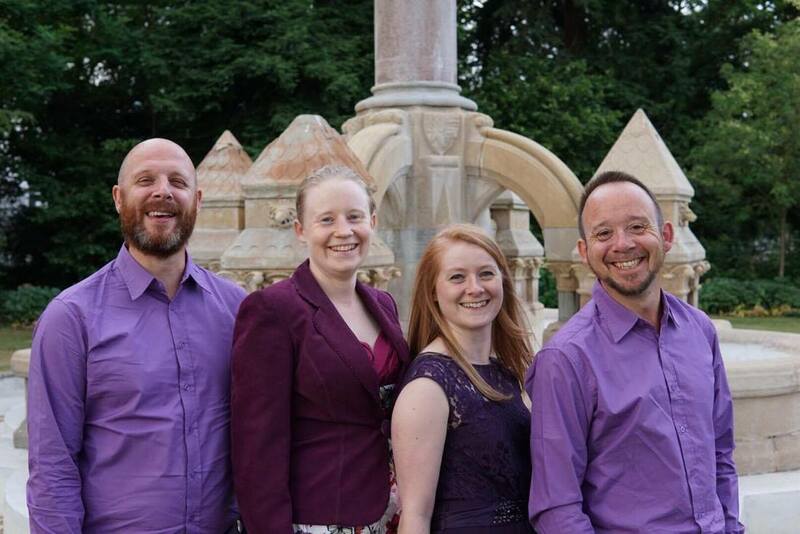 We are a professional ceilidh band based in the Midlands, bringing lively and upbeat traditional music and fun dances for everyone to join in with. Whatever the occasion we'd love to hear from you so please don't hesitate to contact us. "I hired these guys and they were wonderful! We had a pretty tight space to work with but Jen the caller made it work for us. Pretty much everyone got involved and had a great time. Even the non dancers were dancing. I'd recommend them in a heartbeat. Best party ever!" Having grown up in the North-East of Scotland, Ewan was exposed to traditonal Scottish music from an early age. He brings this background to his playing with Roseville Fair. His whistle style has been described as fluid and rhythmical - and he is also Roseville Fair's self-appointed whistle maestro! Having graduated from the Royal Academy of Music in 2009, Nicky has carved a successful and varied career teaching and performing. With Roseville Fair, she is going back to her roots in traditional music which started with a family background in the piping world. In her non existent spare time, she can be founding dancing with Whip the Cat Rapper and Clog or rescuing her knitting from her two feline friends. Adam learned to play guitar accompaniment in sessions around Ireland and England, and has developed a style that blends celtic, scandinavian and blues/jazz genres. In addition to playing guitar for ceilidhs, he dances with Earlsdon Morris and also sings and plays mandolin in a number of other folk projects. Jen loves calling ceilidhs to dancers of every age and ability. She brings a big selection of dances, both new and traditional, for every occasion. She has a passion for inclusive dance and calling without reference to gender. In her spare time, she is learning tango and blues dancing.